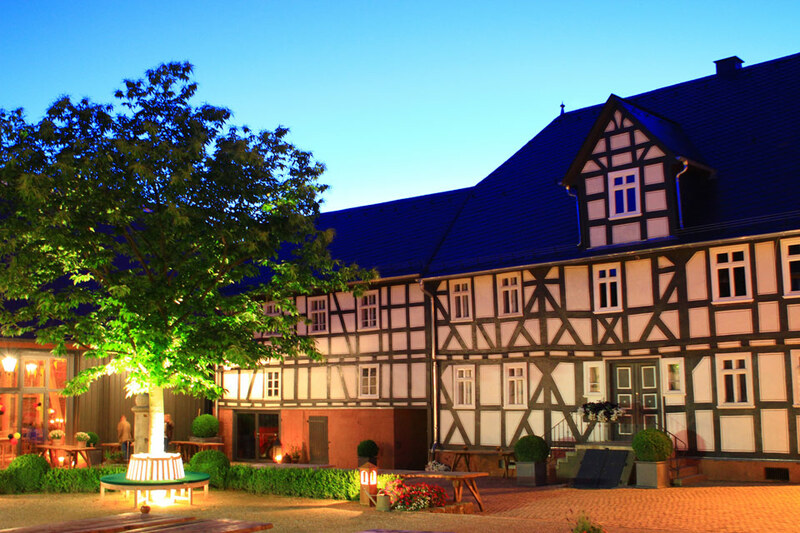 The equestrian centre belonging to the historical Hofgut Dagobertshausen is located in the beautiful natural surroundings of the Central Hessian Uplands, very close to Marburg - the idyllic university town and home of the famous Grimm brothers. Here, on our farm, we cultivate predominantly fruit and vegetables and make products such as jams and fruit juices. 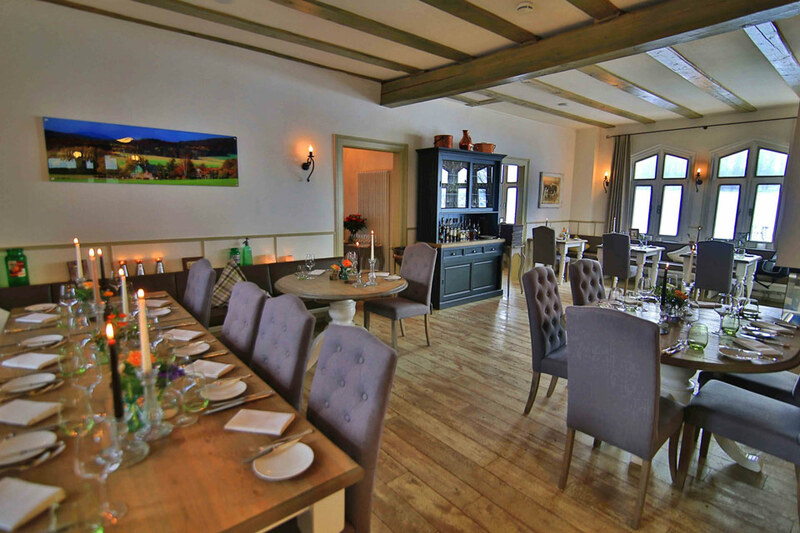 The popular "Restaurant Waldschlösschen" is part of the estate and features a cosy fire-side niche as well as an open show kitchen. The menu consists of exquisite dishes - made using primarily regional products. The "Schlafgut" guest house also belongs to the estate. 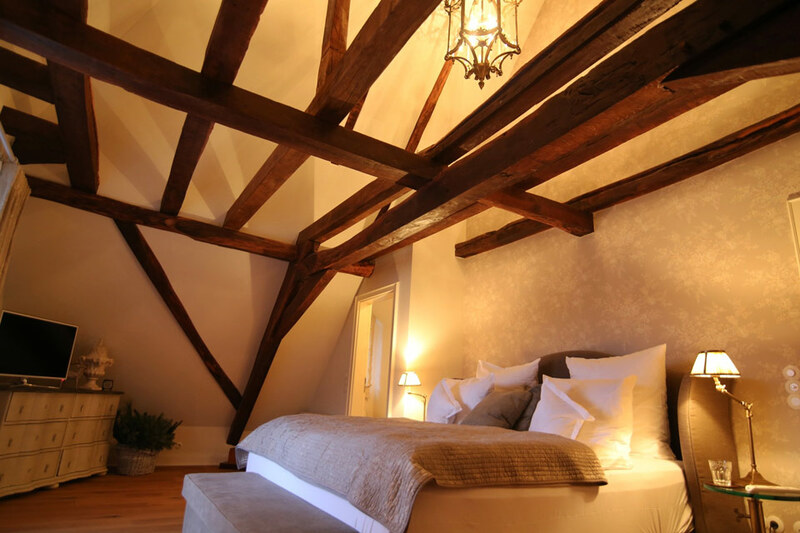 It offers eight beautifully decorated guest bedrooms in a uniquely informal and charming country house ambience. For events - from private family parties to company functions - our "Event- und Kulturscheune" offers two exceptional venues which are unparalleled anywhere else in the region. Distinguishing features of these locations are the half-timbered construction style, which has been restored to the highest standard, and the extensive space available for a wide range of events and activities. 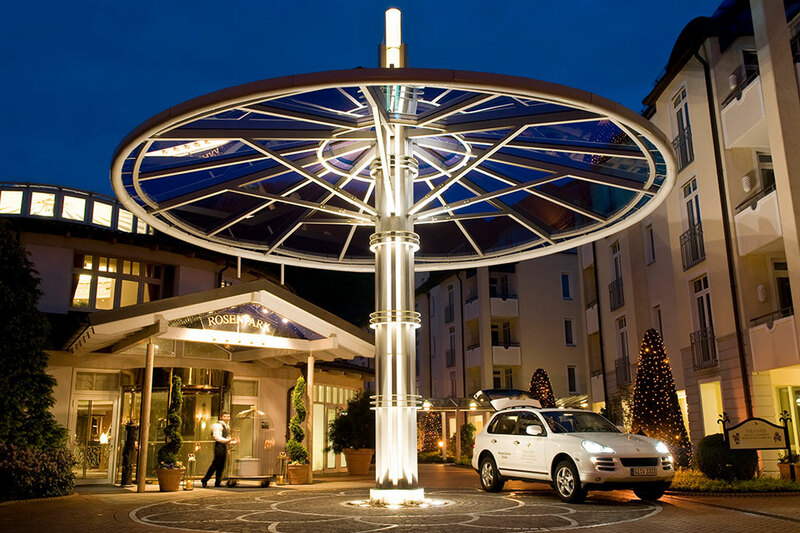 Only seven kilometers away, you can find the luxury hotel VILA VITA Rosenpark. The hotel is centrally located in Marburg, in the heart of Germany. The hotel offers 194 tastefully decorated rooms and suites, furnished with great attention to detail. 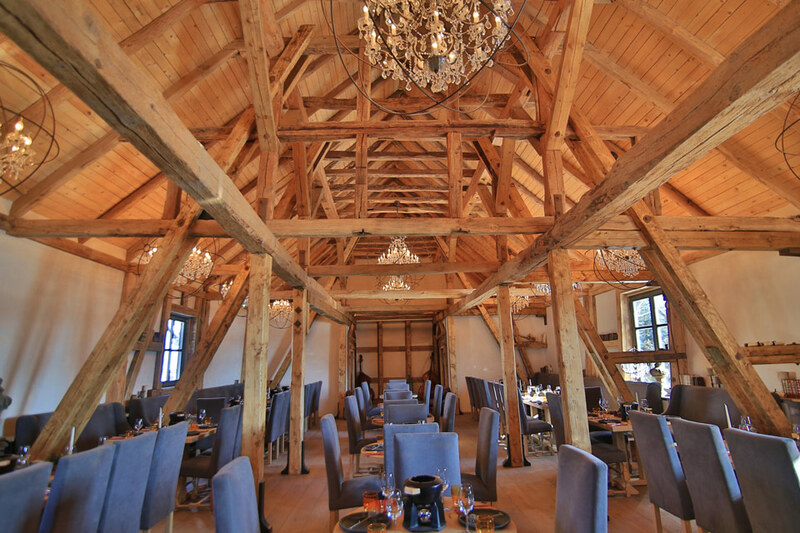 Indulge yourself with culinary delights in the two restaurants “Rosenpark” and “Zirbelstube”. With a pizza oven, a dry-aged-cabinet and a so called Mibrasa-oven, you can enjoy homemade pizza, selected meat, homemade bread and traditional pasta in the restaurant “Rosenpark". 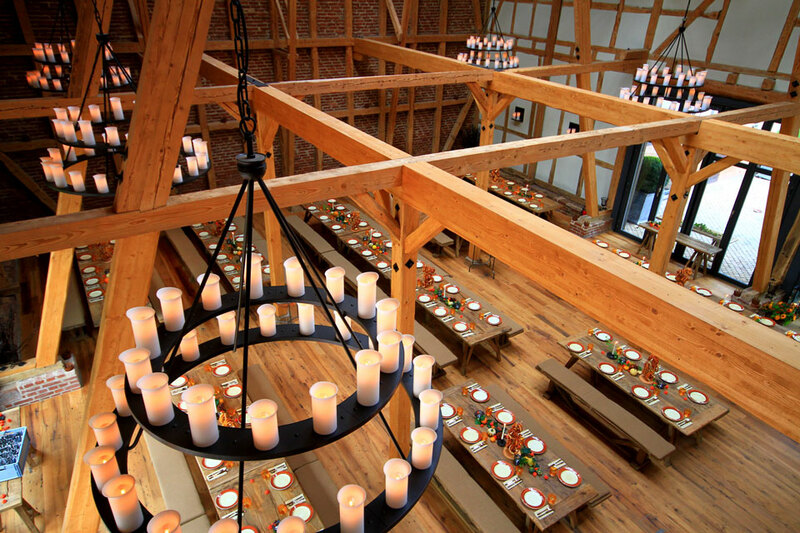 Look forward to regional delicacies and hearty and solid treats in the restaurant “Zirbelstube”. In the first floor, the Rosenpark Bar offers a variety of cocktails and various liquors. 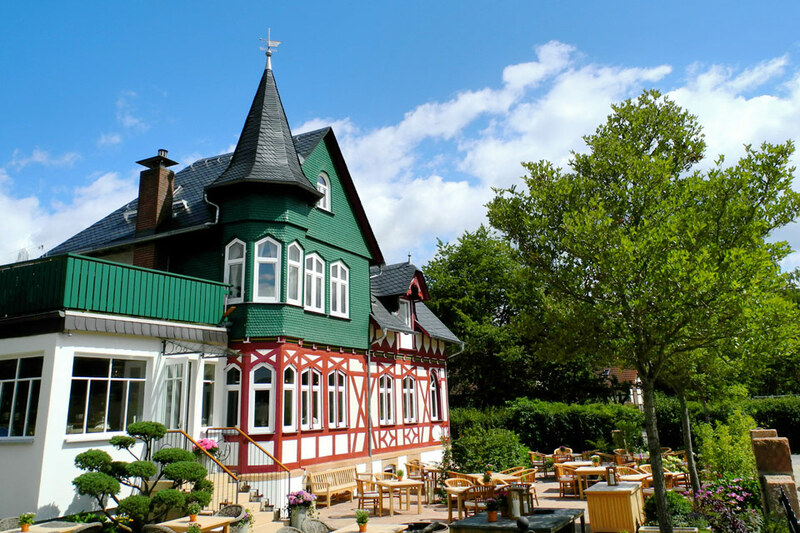 High above the historical university town of Marburg, with spectacular views across the hills of the Upper Hessian Uplands, Bückingsgarten welcomes young and old to relax and unwind in its restaurant and large beer garden located immediately below Marburg castle. The "Aroma, Bistro & Eisbar" enjoys a central position on Anneliese Pohl Allee 1, at the corner of Bahnhofstraße. Whether inside the building or outside on the large summer terrace, the Aroma team look forward to welcoming their guests! This is where tradition has a modern twist: In the Aroma ice-cream bar, the art of Italian ice-cream production teams up with modern ice-cream creations. The result: a unique ice-cream treat - because our range of ice-creams are produced with boundless passion and experience. Marburger Esszimmer: A gastronomical rendezvous point and restaurant providing a perfect combination of classic and innovative features of modern cuisine. Superb culinary creations await you here - making each visit a whole new experience. Come and see for yourself! 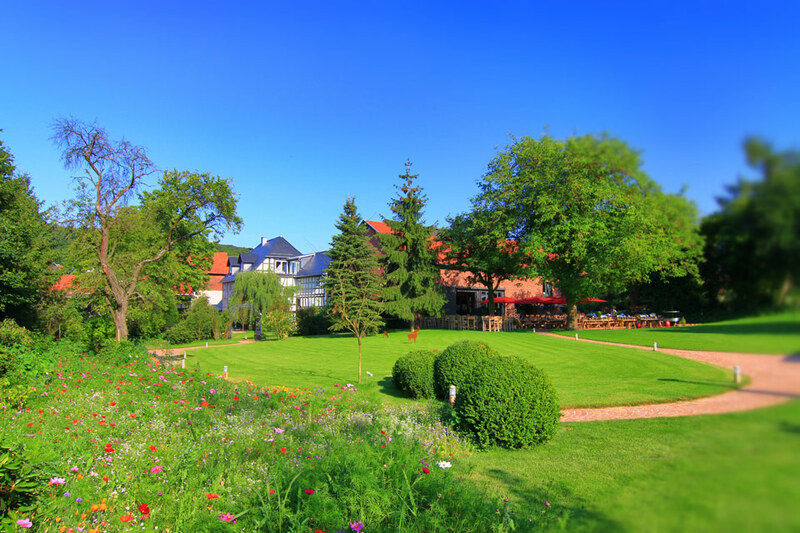 We look forward to welcoming you to our top-location on the banks of the river Lahn. Experience and enjoy the unique ambience of our "dining room" - a place that has been developed with affectionate attention to detail. Our modern yet cosy guest seating area for up to 70 persons, as well as our Mediterranean terrace for up to 80 persons, are enticing and inviting. Our motto is: savour with all your senses. Enjoy a professional coffee and tea culture in the classic and classy ambience of a Viennese coffee-house. From our verdant and secluded summer terrace you have a perfect view past the St. Elizabeth church to Landgrave Castle which towers impressively over Marburg.